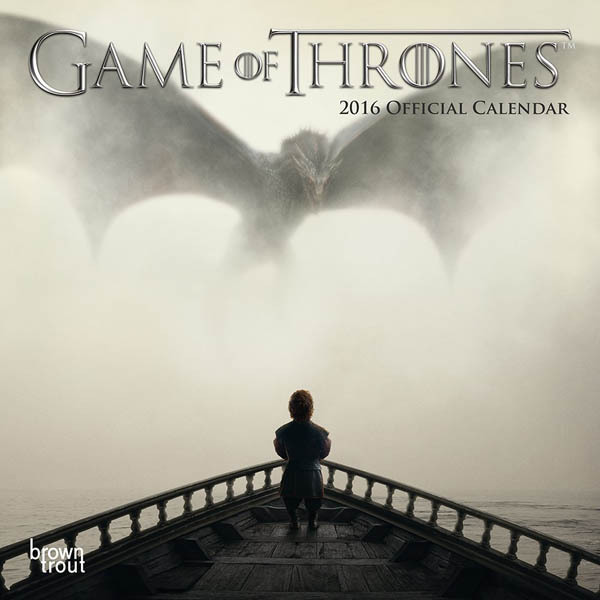 Posted December 12, 2015 by William Martin & filed under Gift guides. 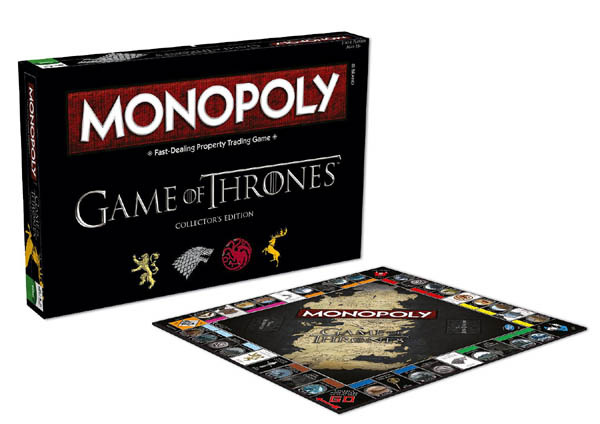 Official board game featuring locations from the show. 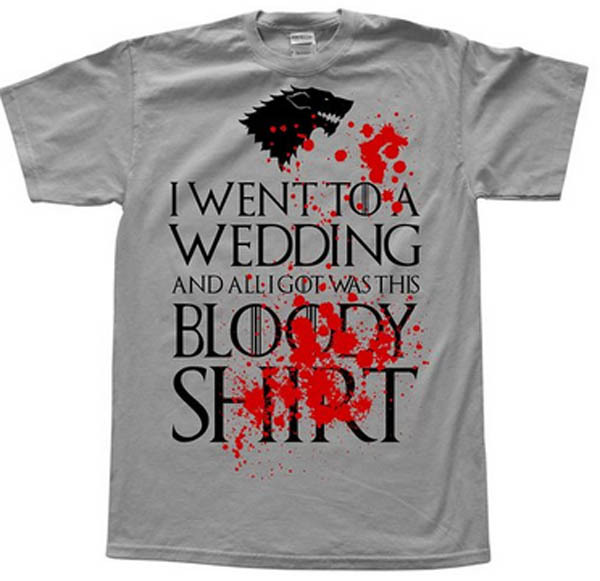 Collect your money and take your place on the Iron Throne! > Buy now on Amazon. 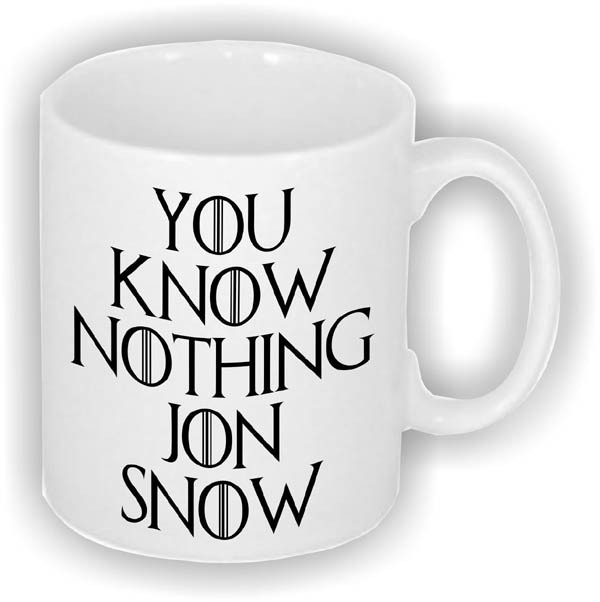 Three official stackable Game of Thrones mugs, featuring House of Stark, Baratheon and Lannister designs. 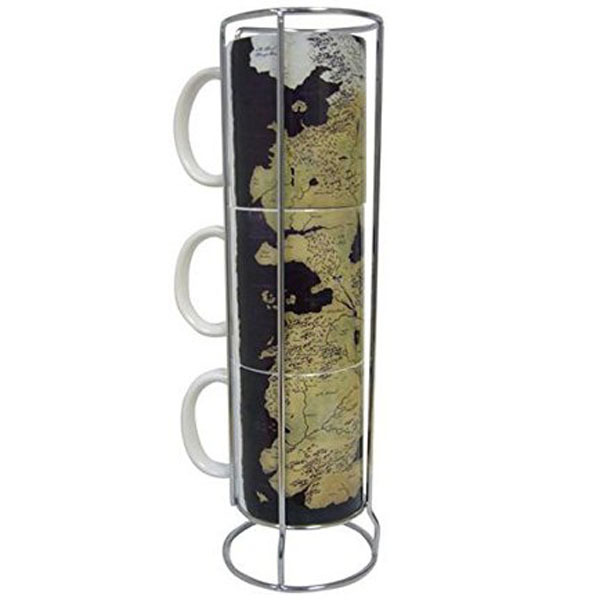 Stacked mugs complete a map of Westeros. Includes chrome stand. 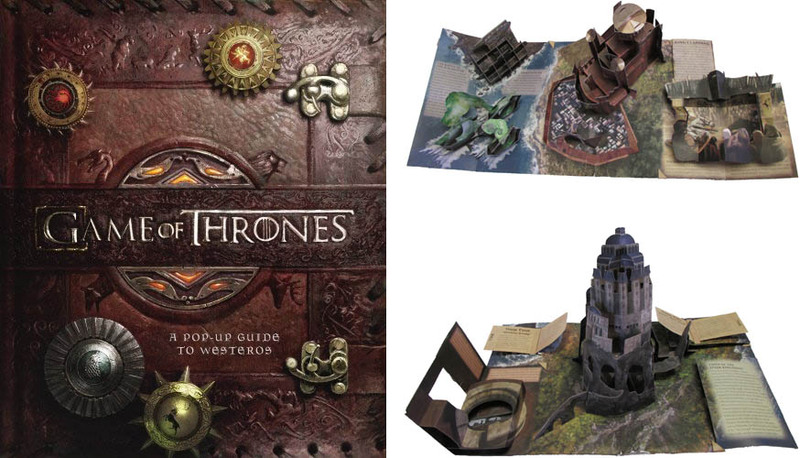 Inspired by the show’s title sequence, Game of Thrones: A Pop-Up Guide to Westeros features stunning pop-up recreations of several key locations from the series, including the formidable castle of Winterfell, the lavish capital city King’s Landing, and the Wall’s stark majesty. 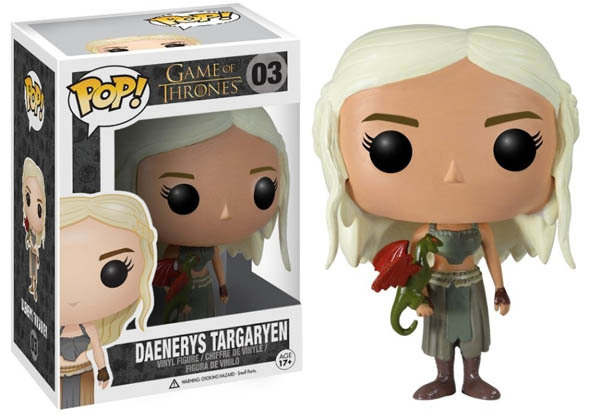 All the pops are accompanied by insightful text that relays the rich history of the Seven Kingdoms and beyond. 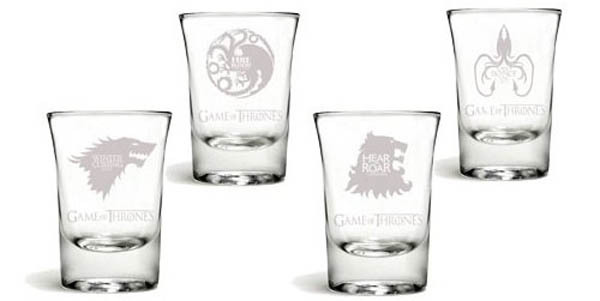 Set of four officially licenced shot glasses, featuring the sigils and mottos of the great houses of Westereos; Stark, Targaryen, Lannister and Greyjoy. 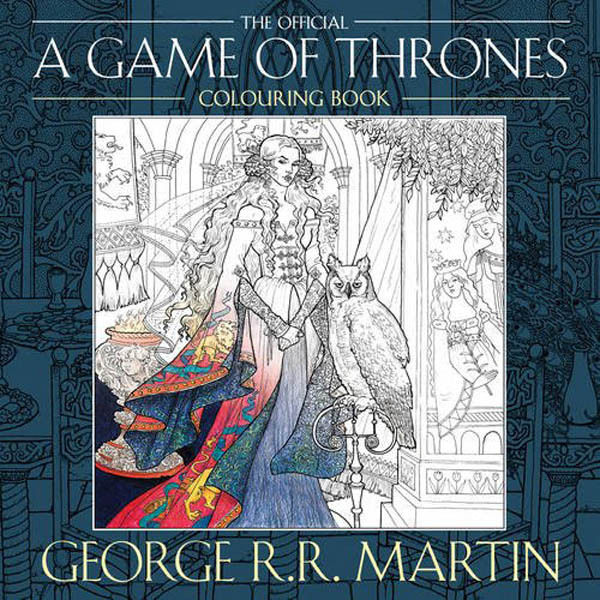 This one-of-a-kind colouring book features more than 45 exclusive illustrations. 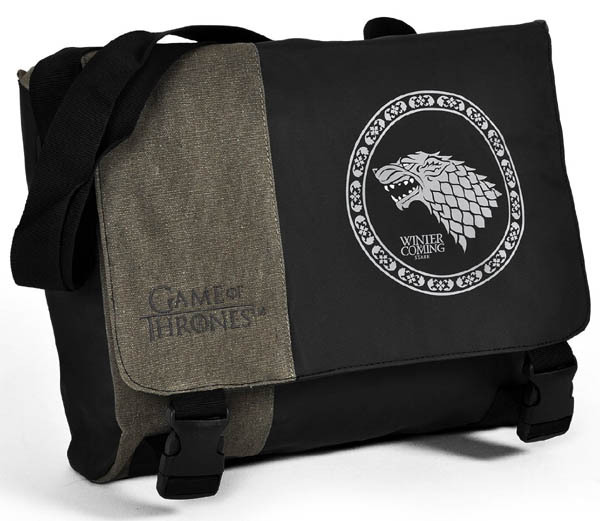 Officially licensed shoulder bag with adjustable shoulder strap and 3 pockets inside, 2 of them with zip. Measures 36cm x 33cm x 9cm. A perfect stocking-filler, this book showcases the best and most humorous quotes from George R.R. 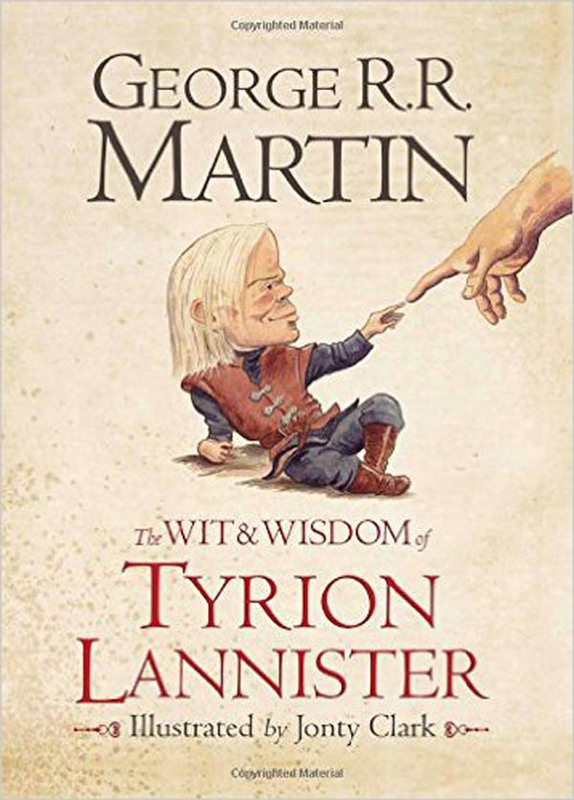 Martin’s favourite character, Tyrion Lannister. 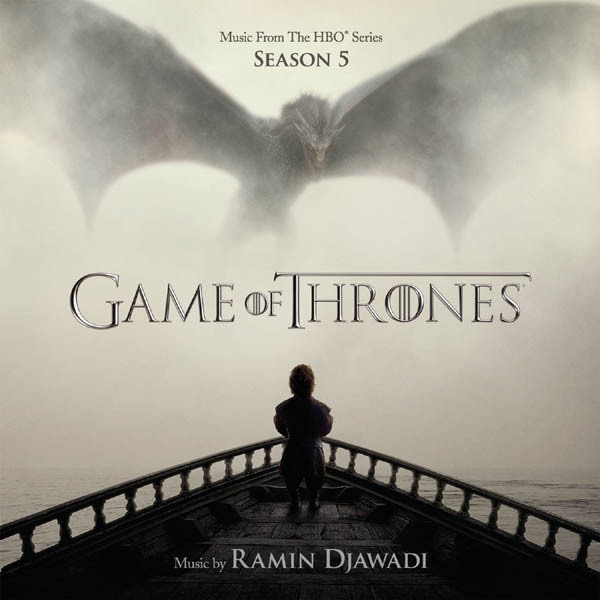 Album featuring 18 tracks of Ramin Djawadi’s music from the latest season of Game of Thrones. 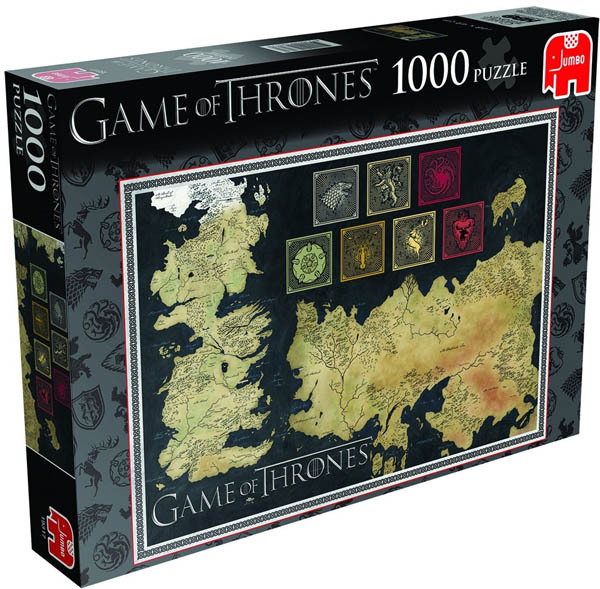 1000-piece jigsaw puzzle depicting the famous Game of Thrones map of The Known World. The size of the finished jigsaw puzzle measures approximately 68cm x 48cm. 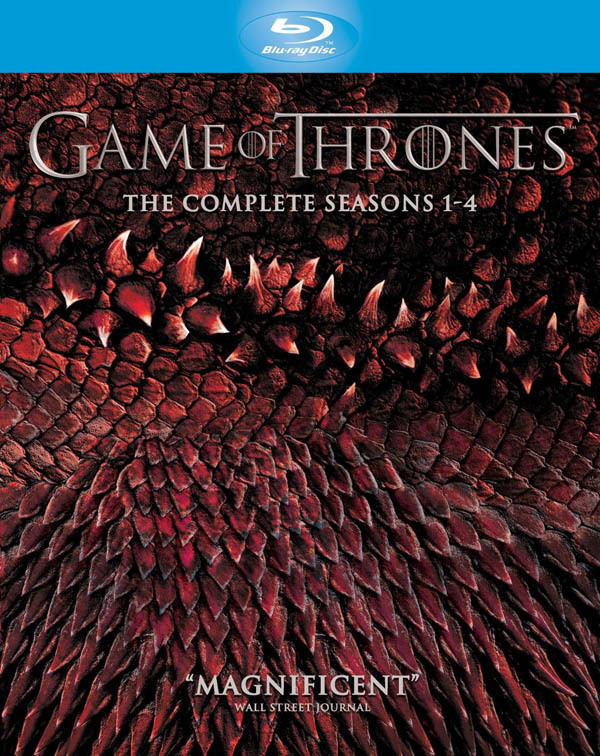 19-disc boxset contains the first 40 episodes of Game of Thrones, plus special features. 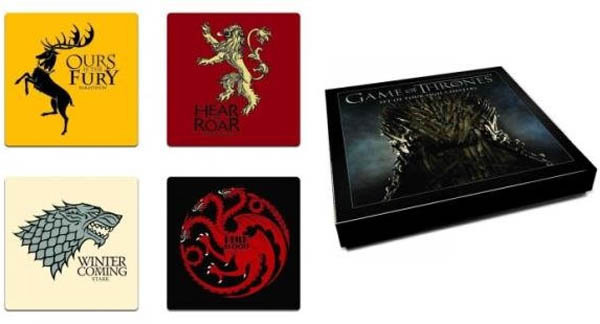 4 beautifully-designed drink coasters (4″ x 4″) with the Stark, Targaryen, Baratheon, and Lannister house sigils. 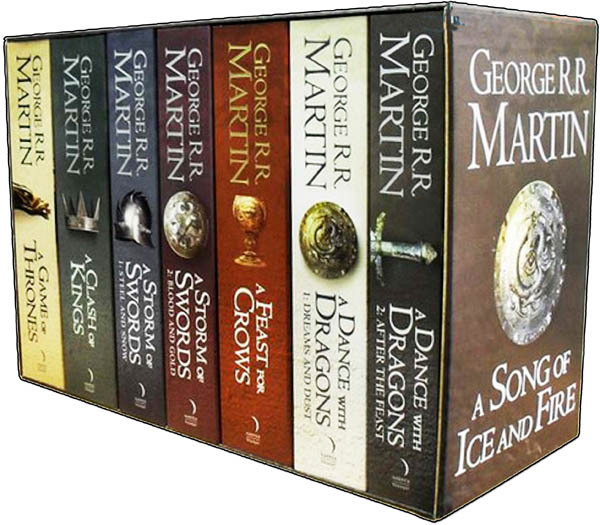 7-volume boxset contains A Game of Thrones, A Clash of Kings, A Storm of Swords, A Feast for Crows and A Dance with Dragons. 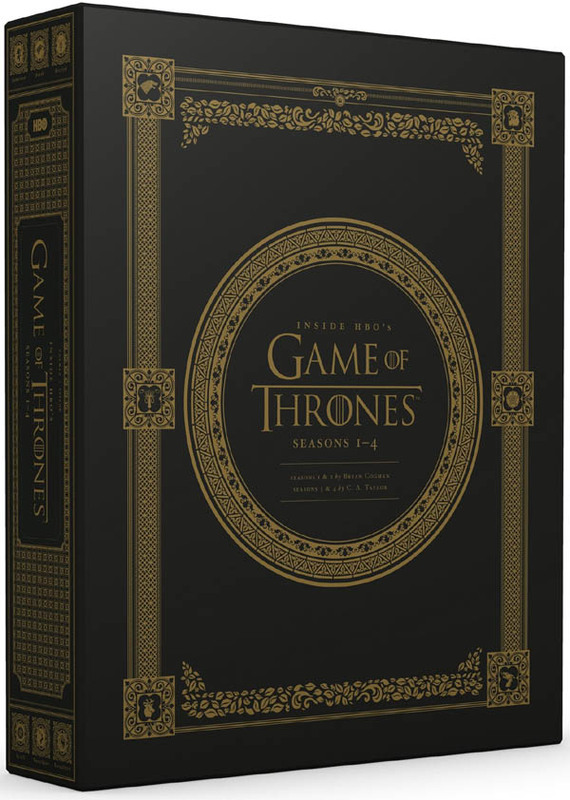 Official companion featuring hundreds of set photos, production and costume designs, storyboards and insider stories, plus interviews with key actors and crew members. 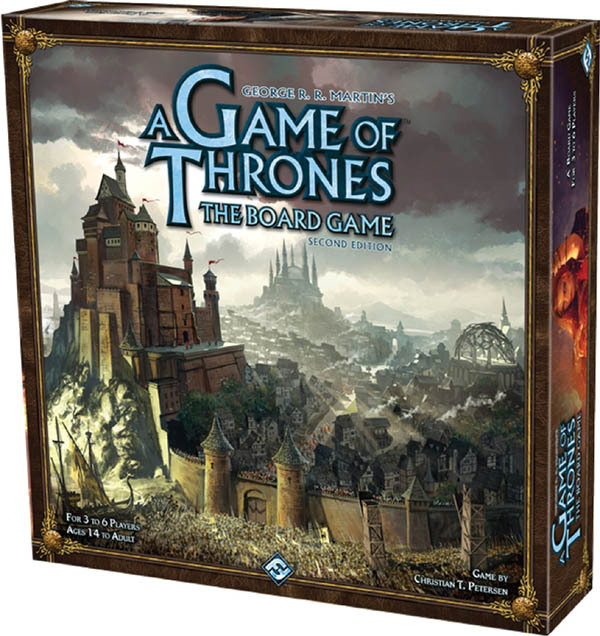 3–6 players take command of the Great Houses of Westeros. 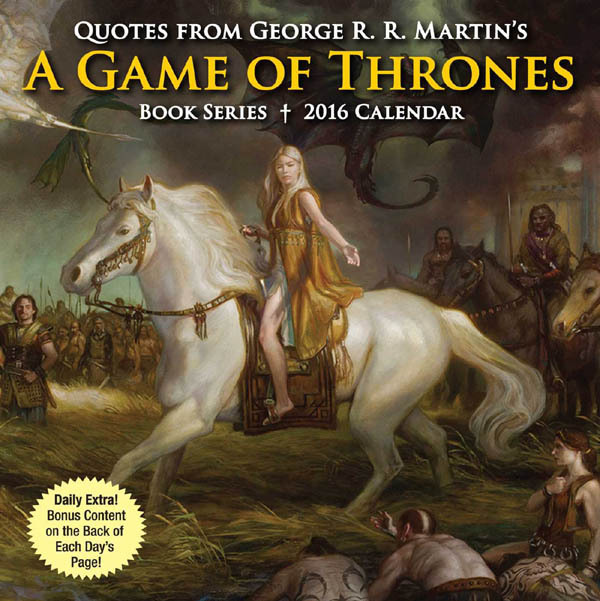 Take a yearlong journey with the families of the Seven Kingdoms, with daily quotes from the many fascinating characters in George R. R. Martin’s fantasy novel series. Officially licensed deluxe playing cards set, featuring characters/scenes from the show. Learn the Dothraki language from Game of Thrones! 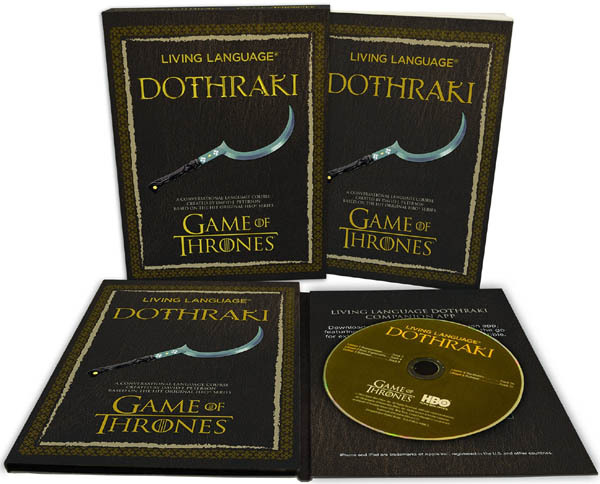 Written by David J. Peterson, who developed the language for the show, Living Language Dothraki includes a 128-page language guide and a one-hour audio CD featuring over 200 words and phrases, grammar explanations, cultural notes, a dialogue, and exercises for reinforcement. 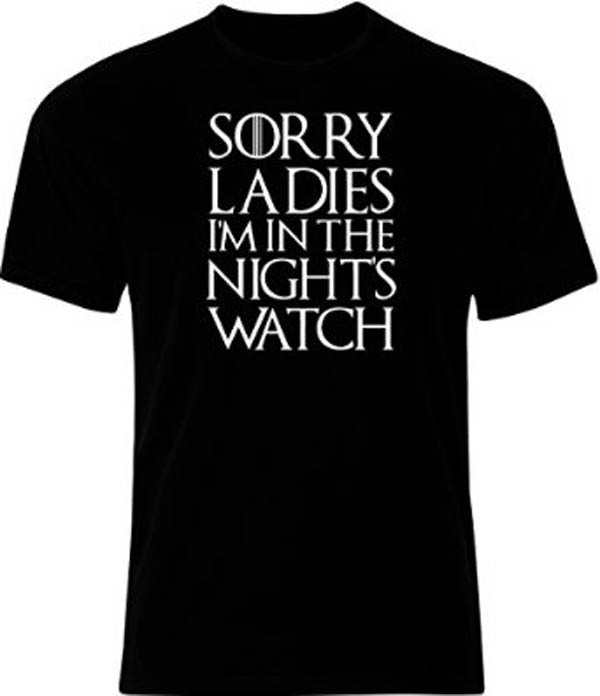 > Buy now on HBO Shop. 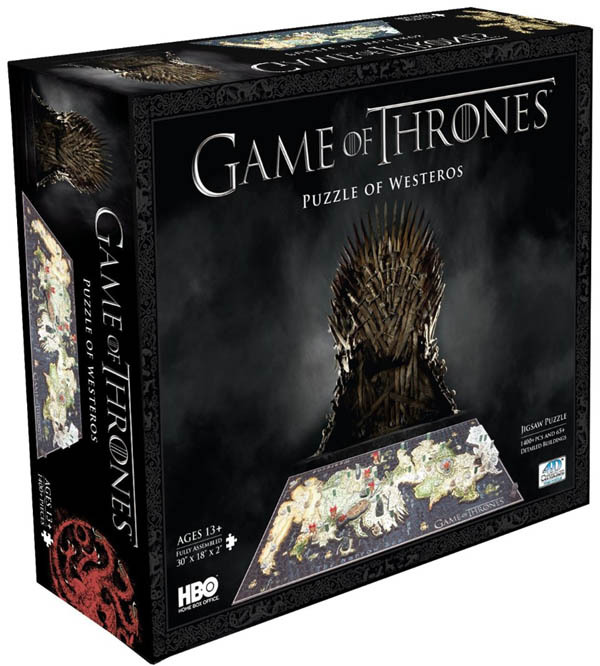 Loaded with information and fun facts about the Seven Kingdoms of Westeros. Contains 1,400 pieces.